When you buy a SureGuard protector product, you have a full 30 days to try it out risk-free. If the product does not meet your expectations, you can return it for a full refund (less shipping costs). Please CONTACT AMAZON CUSTOMER SERVICE DIRECTLY to handle the return. SureGuard warrants to the owner of each our products that if the laminate, fabric or zipper becomes damaged within a period of 10 years from the date of purchase as a result of normal household use, SureGuard will replace the protector provided the care instructions have been followed. Our warranty covers the protector product only. 1. Machine wash and dry the Protector as quickly as possible after spillage, preferably while still fresh, according to our wash and care instructions. The item should be tumble-dried using low heat and bleach should never be used. Not following the washing instructions may lead to product failure, which is not covered by our warranty. 2. To register a claim, please complete and submit the online form below within 5 days of the incident. 3. Each claim is handled individually, based on the information provided by the customer. 4. If purchased at a retailer, DO NOT RETURN THE DAMAGED PROTECTOR until we have provided you with a return authorization and instructions. 5. Purchase receipt must be retained and presented to validate the warranty. 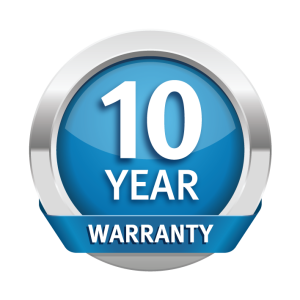 For commercial purchases (non-household purchases) the warranty is reduced from 10 years to 2 years. All conditions and exclusions still apply. (viii) stains or other damage caused by structural problems or appliance malfunctions such as, but not limited to, leaks from the air conditioners, skylights, roofs water heaters or water pipes. Our products are designed to keep sleep surfaces free from stains and should easily wash out when the care instructions are followed. They will withstand the repeated washing and low heat tumble-drying and will provide lasting protection. This warranty replaces all other warranties express or implied and no one is authorized to assume or undertake of SureGuard any other liability in connection with the sale of this product. I have read and agree to the conditions of the warranty outlined above. I am the original owner of the SureGuard protector product, and have always followed the care instructions. I warrant that I have filled in the form accurately, honestly and to the best of my ability.